About: Who is Programming Arts? 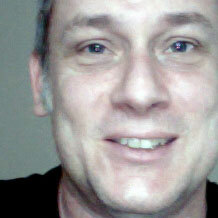 Dave Faloon is an accomplished software developer and project manager with seventeen years professional experience. He started his career in software production as a programmer and graduated to project management and provides production management consulting for many Texas-based companies. Dave began developing multimedia educational software at the Institute for Learning Sciences at Northwestern University in the early 1990s, before the age of the web. After moving to Austin in 1995, Dave worked at companies like Sicola Martin, Cortex Communications, and Human Code. While at Human Code, Dave was a lead programmer on nationally distributed titles such as Schoolhouse Rock’s Math Rock, Exploration State (Science Rock), and Richard Scary’s Busytown CD ROM. Later he was both programmer and producer on Schoolhouse Rock Elementary Essentials CD ROMs. Dave started developing for the web in 1998. He worked with then-emerging technologies such as Shockwave, Flash, Java-script, E-commerce, etc. Dave remains current with web technologies and languages and continues to provide programming services for both local and national companies. This wealth of development experience provides Dave with a unique perspective on technology and production management. He has worked as Senior Producer and Director of Software Development for companies like Ignite Learning and PCI Educational Publishing. In both these instances, Dave brought process, organization, and procedure to the production efforts in the form of production milestones, schedules, design documents, project budgets, etc. Dave has also worked as an instructor at Austin Community College, teaching classes in 2-D Animation (Flash) and 2-D Interface Design (Photoshop, Director, Flash). He was also a panel speaker at the SXSW Interactive Conference.